Thank you for the great training yesterday! 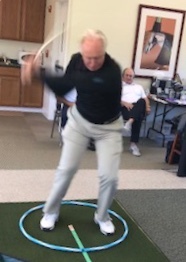 It was eye opening in many respects, not the least of which was that in training for speed the swing mechanics/technique improve! I am going to focus on speed training first and foremost and I have a hunch some of my mechanical inefficiencies will start to disappear. 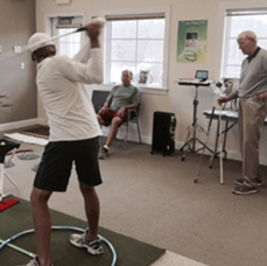 More speed and a “better” swing in the process... what a great deal! I also feel like you’ve given me a tremendous gift, the means to become an athlete again. That is very special in and of itself, so thank you for that too. 110 when I left Carolina...Wow! Amazing! Thank you Ben. FastFirst is really amazing! I love the after-training smiles (of my students), then all the people say “It’s fun”. I love that word! My players are happy and I’m happy. I was really lucky to meet you and learn FastFirst from you! Yoshie Koyama, FastFirst Japan Team Leader. 2017 LPGA International Section Junior Leader of the year. I needed to increase my clubhead speed and distance. 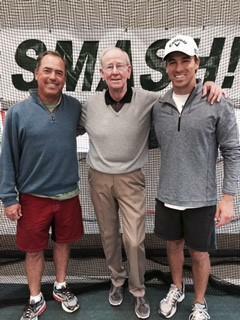 My swing coach, Chuck Cook, told me to go see Ben. I did. I'm a believer! I had an 18-hole outing to play the day after my initial FastFirst training. I was wondering if I could get the club face on the ball, but my first shot gave me the answer-it was so good, long and straight. My longer clubs were great. I felt power and had a good ball flight thank you Ben! I did great. While with you I learned so many things by doing, watching and listening. I am starting my training routines today. Thank you again, you are the best! Olin Browne, winner of the 2015 Champions Tour Greater Gwynnett Championship. 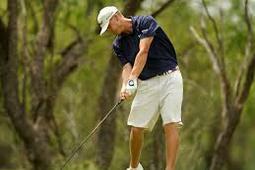 Previous winner of the U.S. Senior Open and three other PGA Tour events. Hi Ben, I look forward to seeing you and Barbara again. The end of last season (after seeing you in early Sept) was probably the best I ever played. Confidence and performance were at a peak. I was playing like a 3 handicap within a month. 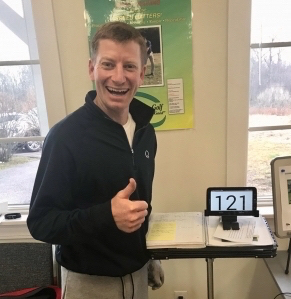 "One of the best golf experiences I have had...Got so much out of it and enjoyed the process...Easy to follow and apply...enjoyed spending the time..."
Have been teaching golf for 25 years, and one question came up from my students time and time again: How do I develop more clubhead speed? That was a question I had a hard time answering because I simply could not find any legitimate explanation that I felt comfortable giving to my students. That is until I was introduced to Ben Jackson and his FastFirst program. Being a skeptic by nature when it comes to golf instruction, I spent several hours on the phone with Ben asking questions and playing devil's advocate. Ben answered every question and also proved to me why his program works,both scientifically and bio-mechanically. That was enough for me. I began studying, learning and working within the program myself. It wasn't exactly easy, but it was fascinating, almost addictive. I began implementing FastFirst into my program in May of 2012, and the results have been phenomenal. Students are swinging the golf club faster and hitting the ball farther in a shorter period of time. What truly blew me away was that by working on speed how quickly the mechanics of the golf swing improved, both the physics and the geometry. Through his program Ben has also helped me become a better coach. He has given me the ability to bring out the best in my students. 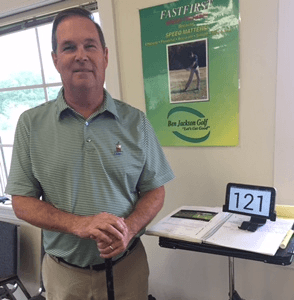 FastFirst is cutting edge technology that I believe will change the golf instruction industry. I am blessed to be associated with Ben Jackson and FastFirst - and , more importantly, so are my students. Thank you, Ben. 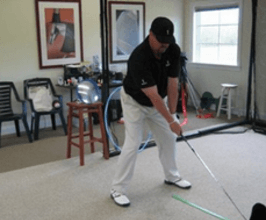 Rob Noel, Golf Magazine Top 100 Teacher and Golf Channel Academy Lead Coach. It is amazing how my game has improved since starting with Ben. My swing speed has increased from 75 to , as of today, 91mph. Excited about playing again after 2+ years of disappointing golf. I've been playing competitively the last two months and still working on my speed. Other players can't believe the distance I've picked up. Not only is it evident off the tee, but I'm able to elevate my long irons easily and hitting my 3-wood and hybrid much further. Everything I do now is geared toward fast twitch fibers, everything. It boggles my mind how other "golf fitness" workouts have missed the boat on this. Thanks again for putting together such a great program." Thought you'd like to know - yesterday I played in the first tournament of the year here. It was 2 man teams, 31 teams, we finished 2nd overall. We beat the 2 teams that were expected to win, the number 1 and the number 2 seeds. 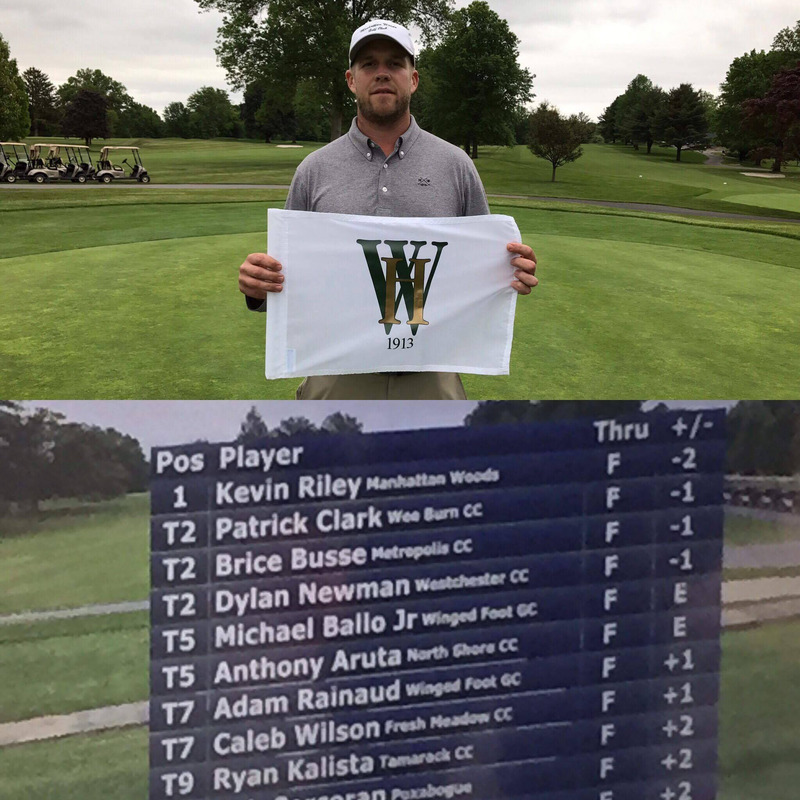 One team had the current club champion and a perennial contender, and the other team had 2 other guys that always contend for the club championship. 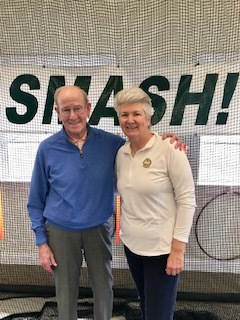 We beat them in both the net and the gross division.Then today I played one of those guys again, a real good player, reputed to be one of the longest hitters here. I easily kept up with him. I know that I am in his rear view mirror now. Also today, I easily flew a fairway bunker that I have never carried before. The shot was 266 yards in the air, accurately measured with my GPS. We get zero roll here at , it was built on land that was once a swamp, so that was all carry. Thanks as always! Thanks. Hit a par 5, 478 yards. Driver. 6-iron. Should have hit 7-iron as ball was on back fringe. 2 putt birdie. Thanks for this. It's really cool. If you're not a FastFirster-you should be. Ben Jackson is first a gentleman, but he's also a first rate speed coach. I can't tell you how much he has helped me in a short time period. And, it's a fun program that's really tailored to you. Lots of coaches promise that but with Ben, he really directs the program for your specific training needs. Get fast and long...see Ben!" "Ben's training methods are cutting edge and in front of current knowledge. He does get RESULTS, which is what every golfer should want. If you are afraid to try something different you will never improve. I can't wait to continue training!" 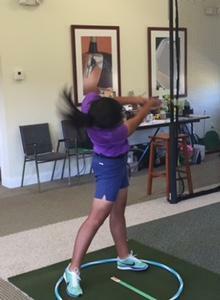 My 12 year old daughter absolutely killed her drives/irons today:she is gaining confidence! Your program will allow her to compete against girls that have been playing much longer than her. Thank you!! Both of us are playing quite well. Gayle missed her age by 1 a couple of days ago. I am doing the drills and exercises every day and it makes me feel fast and strong both physically and psychologically. I can't thank you enough for getting us on the right path. I am enjoying my golf so much more and hitting some really quality shots (compressing that little sucker). Thanks for teaching me! Your knowledge is extraordinary! You have exceeded my expectations. 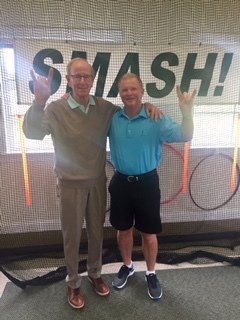 Having been at the top level of Professional Long Driving for more than 20 years, and a voracious experimenter trying to find every edge whether small or significant...and seen, heard and read and tried every tip and training theory there is dealing with hitting the golf ball farther, I have to say the trip (to see you) was an eye opener! Thanks Ben for all your help in my training...it's a lot of fun and brilliant coaching. Just getting back from Europe. I hit a 400 yard drive at Preswick. It included a lot of roll, but I was still more than 100 by the other guys. This is world-class stuff Ben. I'm glad I've been working with you for all this time. Goes to show that there is much more to learn and new levels to achieve. You've just set out beautifully my new approach to golf...and staying young! (My friend was quiet on the way home…) I asked him if he was disappointed. Quite the opposite he responded. He just couldn't wrap his mind around what just happened with you in one session. He could not stop talking about it on the way home. 98 mph to 115 mph with driver “in one lesson”…My lesson with you has been THE BEST lesson ever, without a doubt. Nobody has ever been able to show me how to swing faster, but you have, in one lesson. 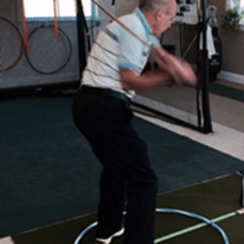 I look forward to learning more from you, hopefully sooner rather than later, as I do want to continue make these remarkable swing speed gains! Thanks again, sincerely, for all your help. I look forward to coming up to see you again for my next lesson and getting past the 120mph barrier! You've got a special gift, Mr. Jackson. Sincerely, thank you...God Bless! I played golf today and definitely was longer. I will now strive to average above 110. I am just about there! Never thought I would get there from 86 just a month ago. Thank you!" "A couple of highlights to share - 521 par 5-- on in two - easy birdie; and 310 par 4 - little dogleg right -took it over the trees toward the pin 270 yds, Part of a wedge to 6 feet. Made putt, made eagle! Good stuff!" Really enjoyed the work on Friday.. You are a great teacher and a superb motivator! 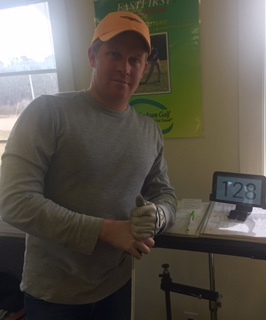 Very excited to get over 120 with the driver and have so many swings at 115+...not bad since I had trouble hitting 100 when I started. As you say, the fastest swings always feel the easiest and most efficient. 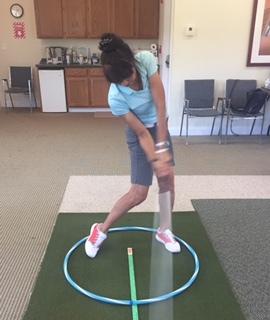 More importantly, when I make fast, efficient swings on the course, I not only get a lot of distance, but I also really compress the ball which gives me much better control-a lot easier to score! Thanks as always. I have to thank you, Ben. At almost 50 I was starting to think that my best golf was behind me. That’s what everyone tells us, right? Well, not you. You kept asking me, “why can’t you hit 350 yards?” Now, after 12 weeks of working with you, I’m longer than I’ve ever been and I am right at my best handicap ever. My confidence is very high. I’ve also developed this belief that I can still get much longer. I feel like there is no limit to how far or how well I can hit it. What a difference from a guy who was afraid to pull the club back! Not only am I hitting everything longer, I’m hitting the ball much better. I’ve tried for years to hit the ball first and take a divot with shorter clubs. Now I don’t even think about it and have great “ball-turf” contact. With wedges I’m digging foot-long divots and spinning the daylights out of the ball. This is so much easier. Last month I played one of the courses at Whistling Straights. We were playing into the wind on a 520 yard par 5. The green is protected by a creek that fronts the green. I hit a good drive, but still had 250 to the front of the green. Because the wind was so high, the caddie suggested that I hit a seven iron in front of the creek and a wedge to the pin. I said, “how about a three wood?”, grabbed my three wood and hit it to the middle of the green. I two putted for an easy birdie. A couple of weeks ago I was playing with my regular group when we came to the ninth hole, a par 5. I pushed my drive behind some trees and was blocked out about 210 yards from the green. Rather than punching out, I decided to hit a hard seven iron over the trees. I hit it well and easily got over the trees. I was expecting to find the ball in front of the green, but I instead found it in the middle of the green. Four weeks before I was hitting a seven iron 150 yards. Everything is longer. I used to hit a wedge 110 yards. Now it goes 140. I used to try and run a 5 iron 170. Now I can fly it 200. My three hybrid used to be a 200 club. Now I fly it 235 and can run it out over 250. If anything, my driver is lagging. I used to roll it out 250 yards. 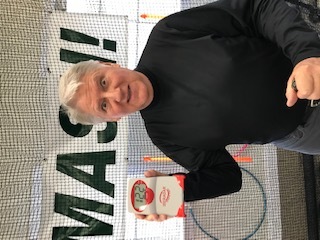 Now I fly it up to 270 with a total distance of 285. However, every now and again I get a glimpse of how good the driver is going to be and I pop one about 320 yards. Ben, remember that short par four with a carry over the water that we talked about? Well, I’ve stopped donating balls to the pond. I can easily carry the water with a three wood now. Being able to hit the ball a long way makes up for a lot of sins. Yesterday I popped up a drive on our par-five twelfth hole. I almost never need to hit my three wood since working with you, but pulled it out here and hit it 270 yards to the front of the green – carrying the creek that was 40 yards in front of the green. I’ve never hit the fifth hole, par five in two before this year. It’s a long, dog leg left and uphill. Since working with you I’ve knocked it on many times. I don’t even need a driver anymore, instead using a three wood to bend the ball around the trees. Last week I knocked it on with a three wood and four iron. That makes the hole a lot easier. Thanks, Ben. Thank you so much. I can't wait to bomb it past everyone! It's going to be so exciting. I actually was looking at my swing before I came to you and looking at my swing now...All I can say is WOW - Huge difference. Thank you so much for everything you do , Ben. Really appreciate it and everything you and Barbara do.